The typical parents of troubled teens know it is normal for their child to want to feel independent, but it is not typical for them to act out in dangerous extremes. Most parents love their children and are willing to sacrifice everything for them. However, parents of troubled teens struggle tremendously, espeically when lookinf for the right residential treatment program. 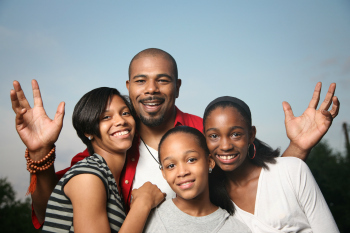 Most parents of troubled teens are committed to finding the best options available. RESTORE provides parents the best therapy-based options for troubled boys or girls - a place to get back on track and succeed complete reformation. Obviously, if parents are thinking about sending their child to a residential treatment center or therapeutic boarding schools for troubled teens, a problem must exist. If there were no problems, parents would not be considering an out-of-home placement for their child. Still, the question of “why” lingers. “Why us”, they ask? “Why is this happening?”, they say. Most of the time the boy or girl has developed his/her problems over a period of time, and it will take some time to turn the situation around. The solution will require some change in both the troubled teen and the parents. Most of the time, we find that one, or both, of the parents are “rescuers”. This means that at least one of the parents (soft parent) is taking on a great deal of the responsibility for the child’s poor choices. The child rarely feels the effect of their poor choice because the parent rescues them from the consequences of their actions. Therefore, the child continues to make poor choices. The message the rescuing parent sends the child is, “I don’t like what you are doing but I will bail you out. ” The other parent (hard parent) usually tries to compensate for the rescuing parent by exerting harsh external control. This only makes the problems worse. Here is the problem… if the parents are not in one accord on everything as it pertains to the family (the children and the discipline), the child will find the way to triangulate, causing division between the parents and thus, allowing strife to enter the marriage. If the parents are not in "one mind" on all areas regarding “parenting”, then the child will most usually find a way to drive a wedge between them, dividing and provoking the parents to turn against one another. In the meantime, the child continues to push the envelope and act out of control. If one parent tends to be soft (inconsistent, and taking on the responsibility of the consequence) and the other parent is hard (holds a tough line and is harsh in regard to discipline), there will be conflict that will make trouble for the entire family. There needs to be a solution, which will necessitate change, both in parents and in the troubled teens.